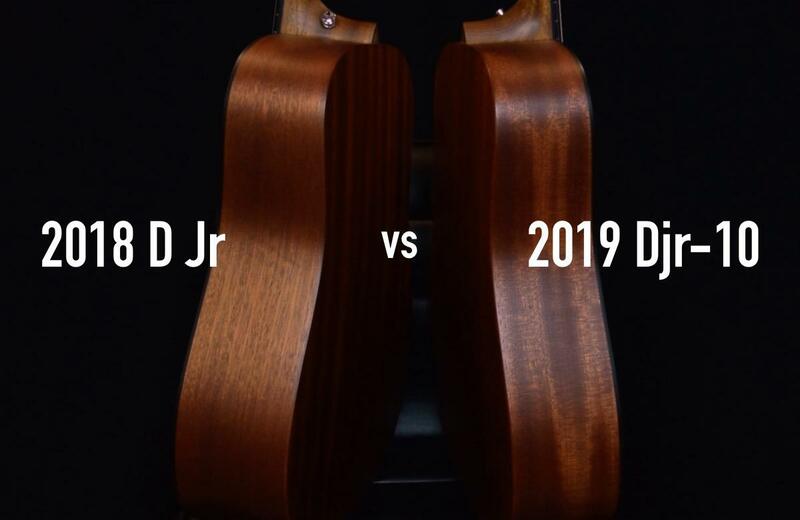 We compared the 2018 Martin D Jr to the new Djr-10. Twice. The 2018 model came from the factory wearing the recommended phosphor bronze strings. On the new 2019 model, Martin recommends nickel Retro strings. Our original video accurately compared these guitars, but the fact that they’re strung with different strings causes a bit of inaccuracy, too. After a few days, we uploaded a new version of the same video - and this time, both guitars are wearing a fresh set of Retro strings. This video eliminates the apples-to-oranges problem from the first video - even though Martin’s R&D finds that the older model sounded better with brighter strings. Which guitar do you prefer & why? Which video do you prefer? Please share your comments below.